Dimensions: 21.3" Diameter, Beam Width: 4.9° Horiz., 20° Vert. 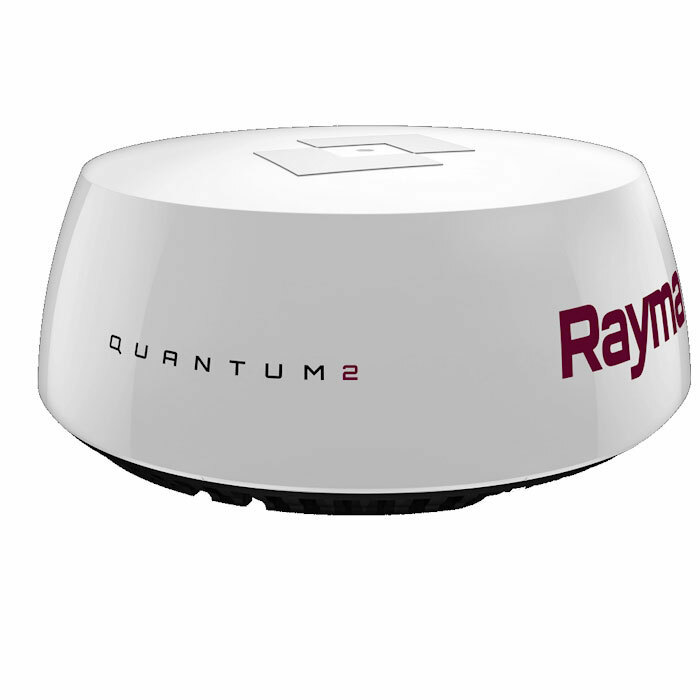 The Quantum 2 next generation CHIRP pulse compression radar by Raymarine provides superior target awareness at both long and extremely short ranges with Doppler collision avoidance technology. 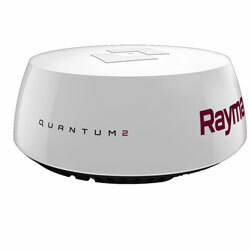 Easily Identify Dangerous Targets: Using advanced Doppler processing, the Raymarine Quantum 2 system instantly highlights moving radar contacts and color codes them to indicate whether they are inbound or outbound. The Quantum 2 with Doppler color-coding system makes it easy to discern potentially dangerous targets when navigating in high-traffic areas, thus reducing the risk of collision. Safer Navigation: Quantum 2's exclusive Safety Sector feature provides the maximum level of visibility to dangerous targets in the path of your vessel (both mobile and stationary). Doppler does an excellent job of bringing attention to moving targets, and the Safety Sector feature provides equal attention to stationary threats by coloring them as inbound targets. Potential targets include: Buoys. Exposed Hazard (rocks, pilings, etc). Slow moving, low visibility vessels. Quantum 2's Safety Sector spreads 15° from the bow to a distance of approximately 200m. Microwave energy waves are bounced off of a distant target, just like conventional radar. Moving targets send back echoes whose frequencies shift upward or downward from what was originally transmitted. For inbound targets, the frequency increases as the leading edge of the returning echoes are received more frequently as the target's range decreases. For outbound targets, the frequency drops as the returning echoes spread out as its range increases. Doppler radars are engineered to detect these small shifts in wave frequency, and use them to classify moving radar targets. Doppler radar is tuned specifically to detect the radar echo frequency shift returned by moving vs. stationary targets. Quantum 2 then uniquely color codes moving targets to indicate whether they are getting closer, or moving away. Inbound targets are colored red. Outbound targets are colored green. Color coded targets make it simple to pick out moving traffic from other stationary targets like land, navigation aids or stopped/anchored vessels.